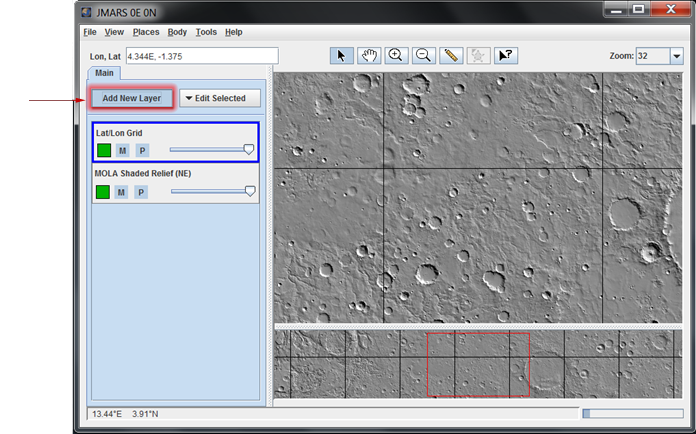 The Map Layer allows users to load and display global maps of Mars and other planetary bodies. 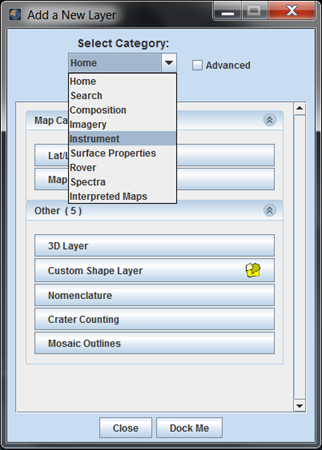 All versions of JMARS include the Map Layer, which offers users two options: Graphic/Numeric Maps and Advanced/Custom Maps. Numeric data can be added by clicking the home tab, then selecting either "Instrument" or "Imagery". In this example, we click on Instrument. 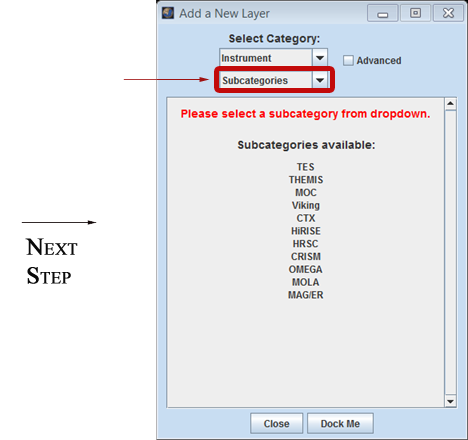 Any of the subcategories can be selected. Here, we selected MOLA data. Finally, the user can select the data. In this example we selected MOLA Colorized Elevation. Video Tutorial: Goes into further explanations on added and editing layers. 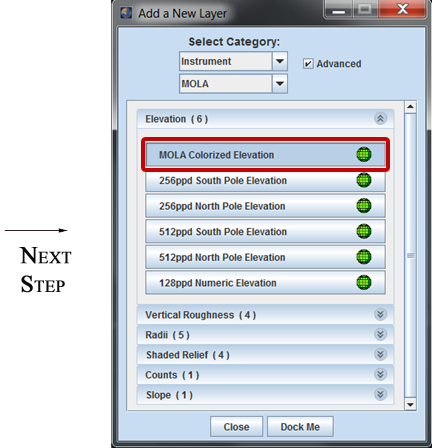 Graphic/Numeric Maps usually serve as the base layer of the Viewing Window with other layers (such as the ROI Layer, Groundtrack Layer, etc) stacked on top of them. 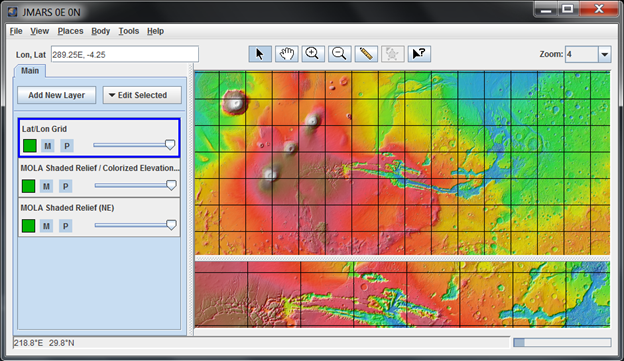 Advanced/Custom Maps are developed by users to display datasets not included in the standard version of JMARS. These maps can contain both graphic and numeric components and be either regional or global in size. The data used to build these maps are contained in files (usually either ISIS cubes or standard image files), which must be loaded into JMARS by the user.